We hope you all had a good holiday season of 2018 and 2019 started well. 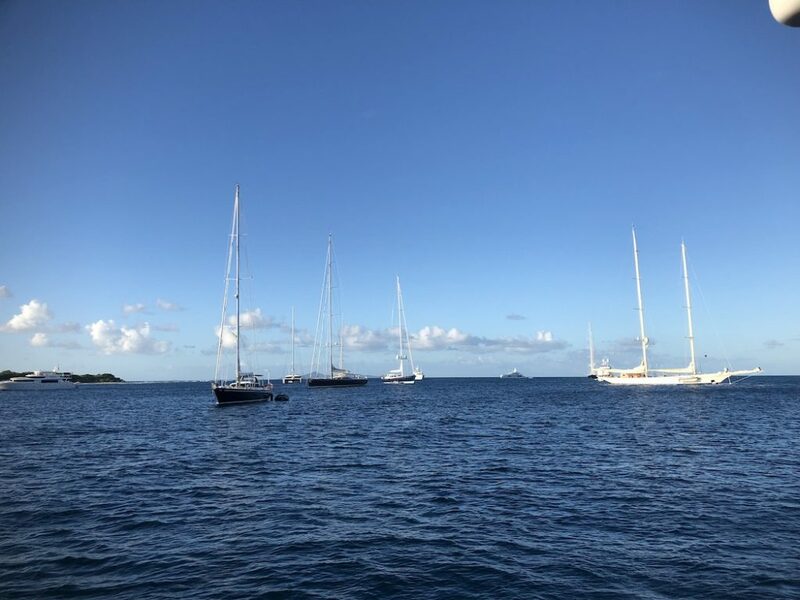 Moonwave and her crew explored the windward islands. 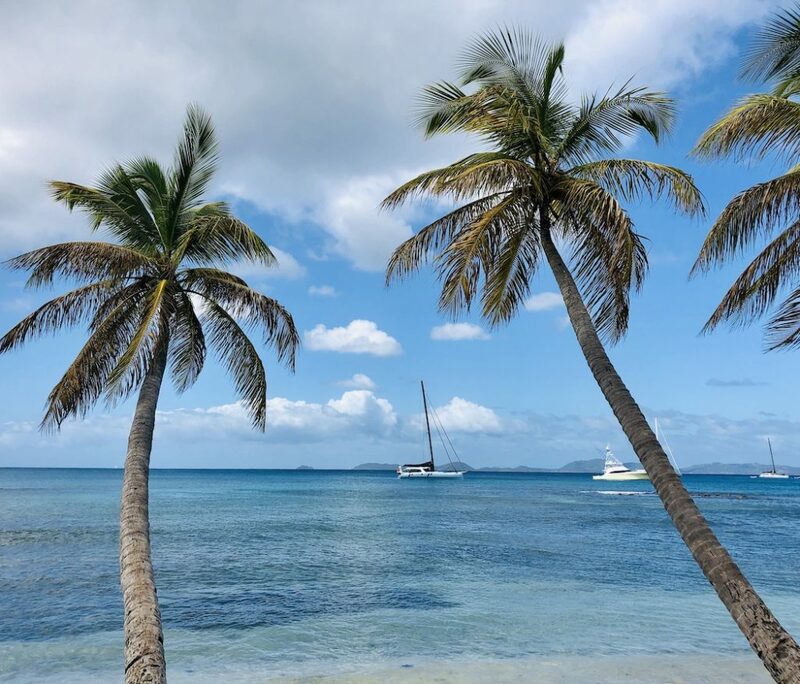 Martinique was also a great starting place to explore the islands more south as provisioning is quiet easy and finding “European products and local produces” at the big supermarkets makes meal planning more fun. From Martinique we sailed to St. Lucia. 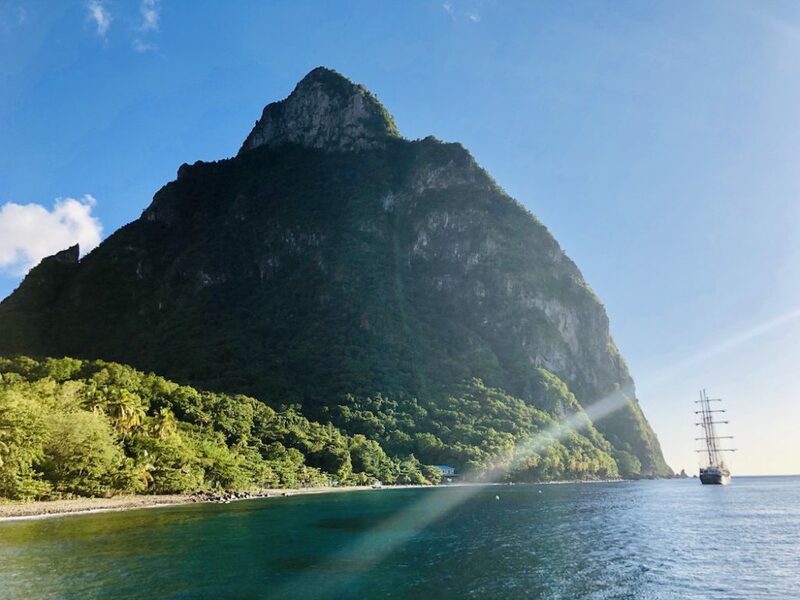 After clearing in in Rodney Bay, we went to the “Pitons” in the Bay of la Soufriere. The surrounding of the Pitons in the Marine Park is just spectacular and the water is nice and clear. 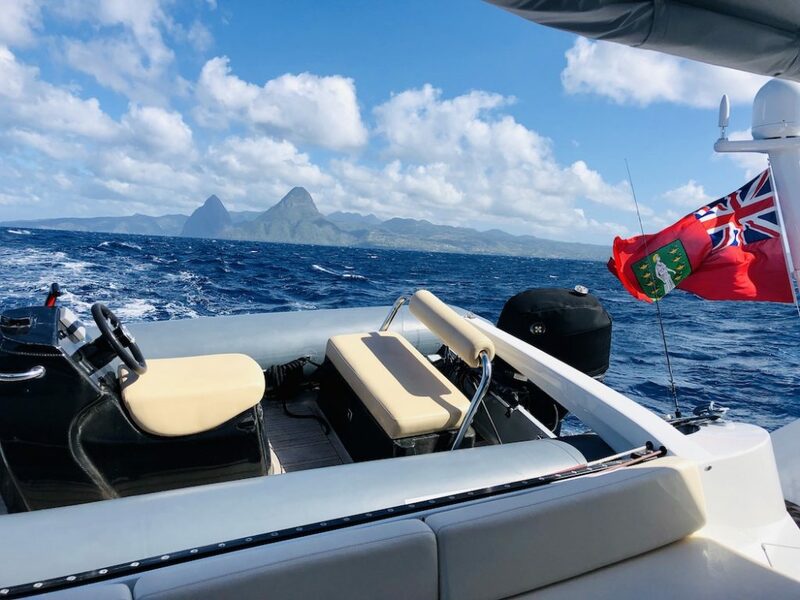 We had a fun and fast sail from St. Lucia to Bequia hitting 26 knots of boatspeed in full cruising mode. 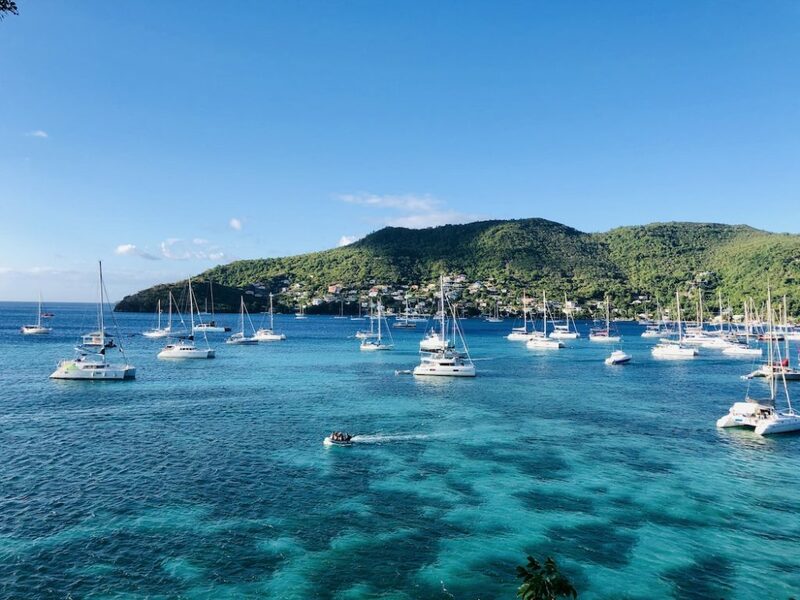 Bequia was a great destination. Our guests went to explore the island and got to see the turtle sanctuary at the other side of the island. Did I mention that the famous Caribbean “Christmas winds” were right on time for the Christmas holidays. We had nice breeze for the whole trip, good sailing conditions and nice conditions at the anchorages [no AC needed]. 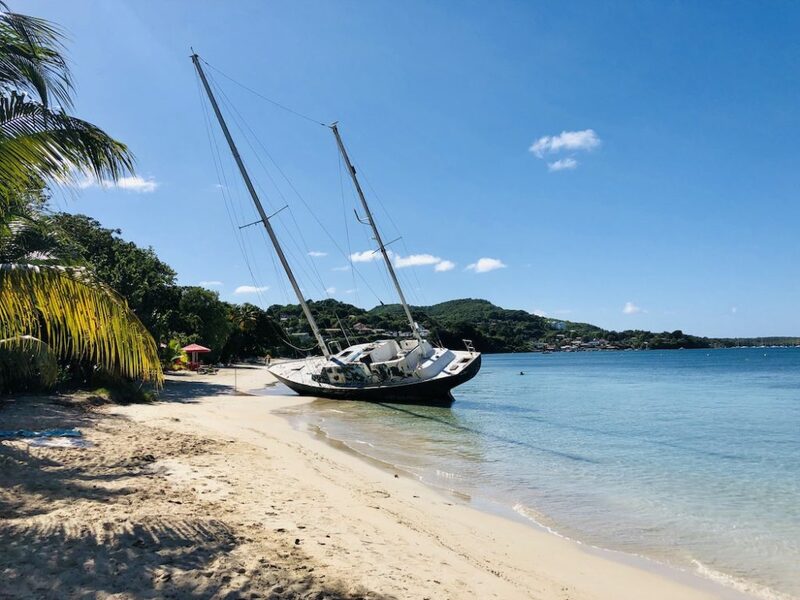 It was also great to see our “sister ship” Flow moored in Mustique. 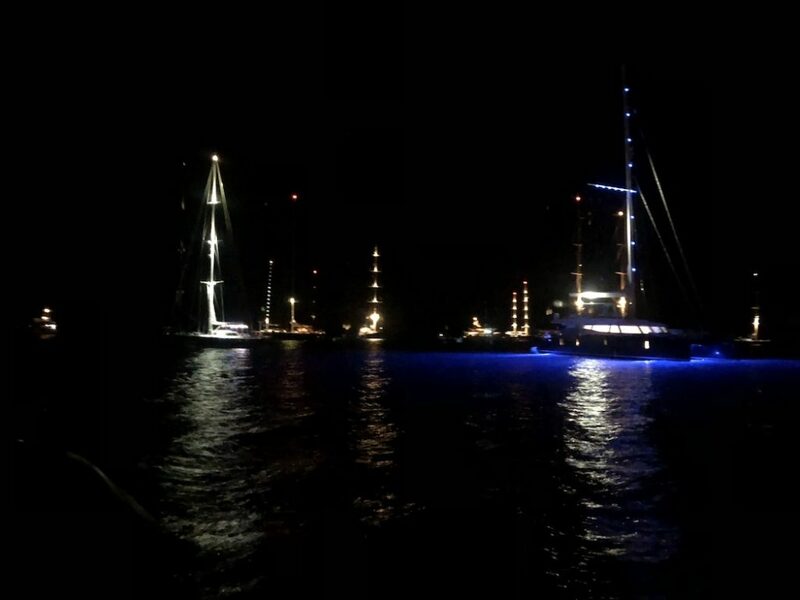 So nice to see two Gunboat 60s in such a beautiful location. 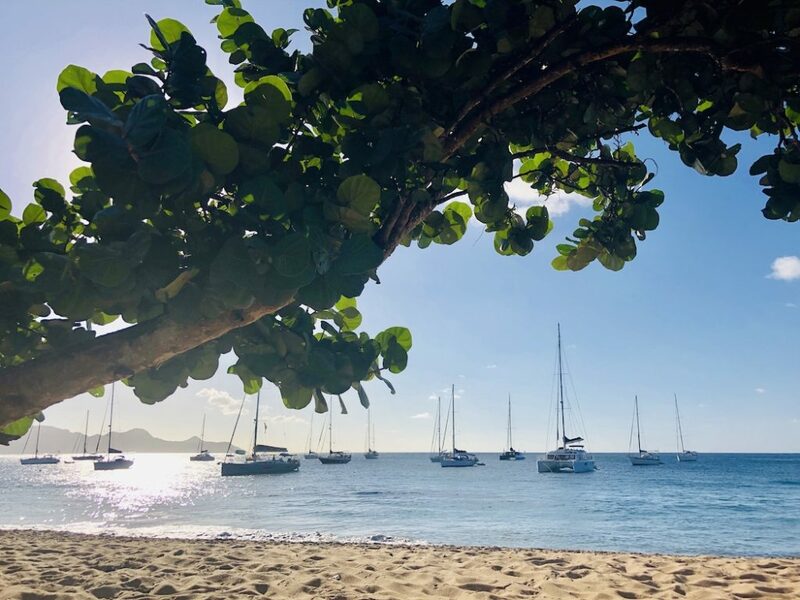 After a great start into 2019 with huge fireworks, we continued our island hopping: Canouan, Tobago Cays, Mayreau, Union Island, Petit St. Vincent, Carriacou with Sandy Island and Grenada offered us a wide variety of different islands, beaches, snorkeling areas and anchorages. 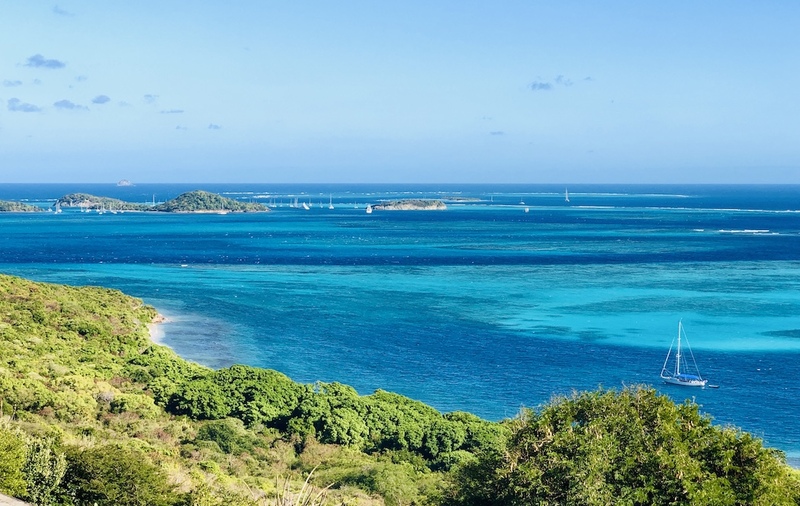 Here we want to mention Sandy Island close to Carriacou. 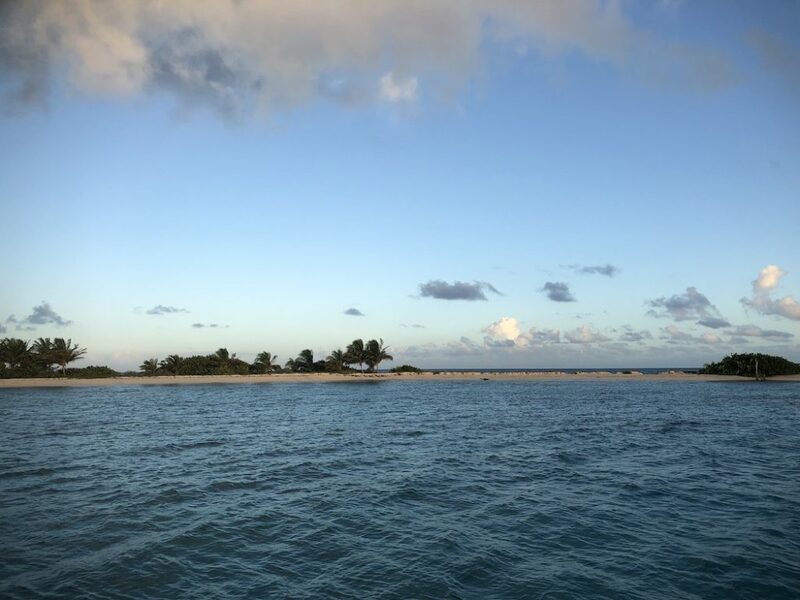 A desert island with mooring balls and great BBQ in the evening. The grilled lobsters and fish were just fantastic. Around the table there were uncountable hermit crabs on the sandy beach after sundown. The crabs came in all different sizes all with their “houses”on the back – they complete took over the island at nighttime. 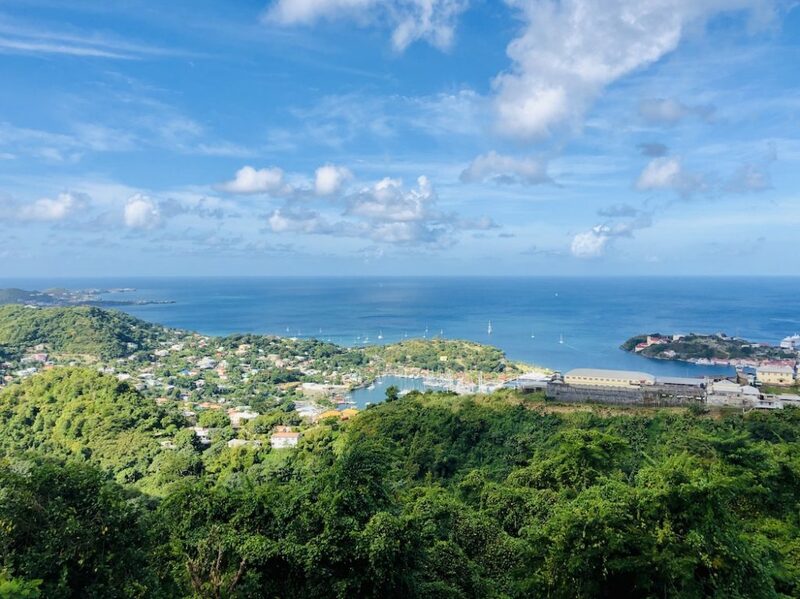 The trip ended in Grenada, an other gem of the Caribbean islands.